This particular measure is called spectral norm, and it’s just math number ruminating. It tries to remove all of the available CPU, and the benchmark, in this case, uses main thread and runs on all four available CPUs on the machine. Now Swift accomplish their task in four seconds. Java does it in just about the same time, in 4.3 seconds. So, Swift and Java’s performance on four-way Linux for this task is actually almost unique. You then look at something like Node.js. Node.js takes 15.8 seconds. It’s roughly more times slower than running Swift or Java. If you run something like Ruby, then it’s incredibly slow. Ruby is not a language for doing computation, largely because it doesn’t have a form of just-in-time compiler under it like Node.js and Java does. 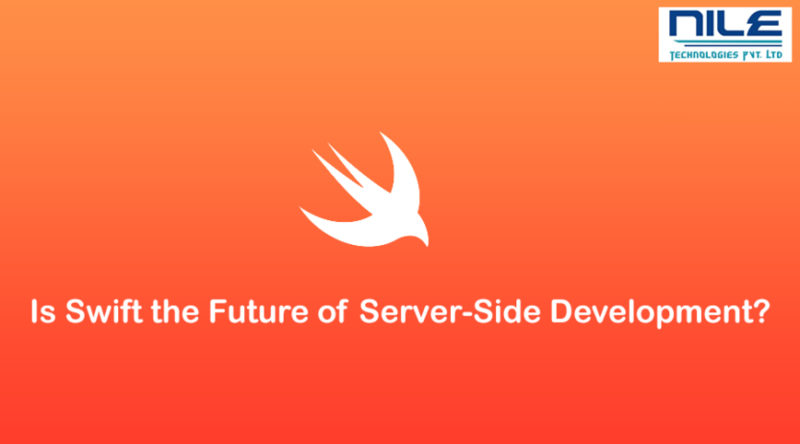 For performance reasons, Swift’s a really interesting language to be running on the server. But it’s also excellent for memory management. Looking at the same benchmark, and at the resident set size (the amount of self-memory that’s needed to run that benchmark), Swift requires 15MB worth of memory. Java, however, requires 32, so you’re running at half the amount of memory but getting the same performance. Node.js needs a little bit less than Java, but it is still a lot more than Swift. And again, Ruby requires quite a lot.